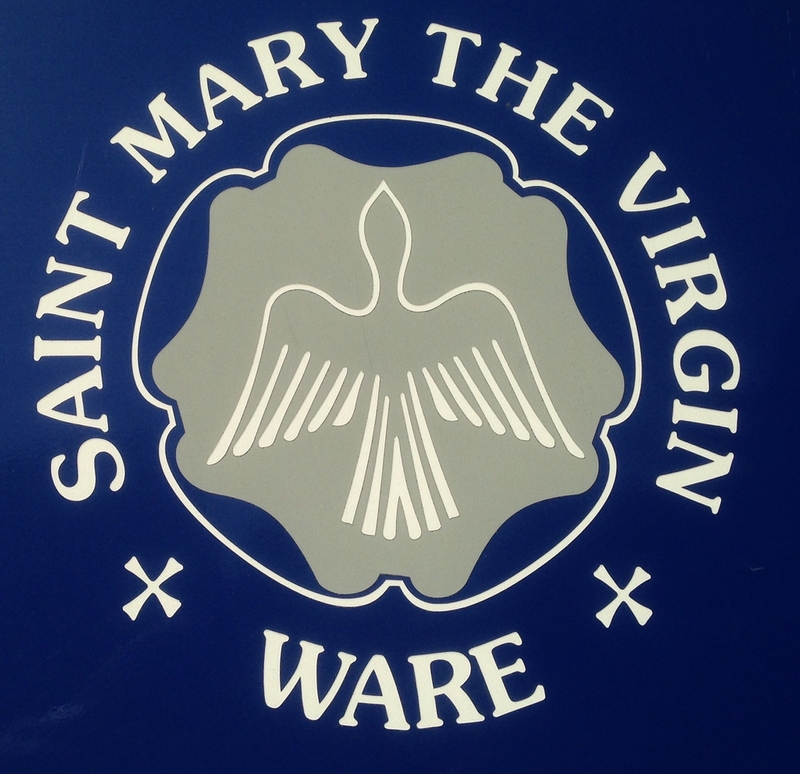 The Church of St Mary the Virgin Ware is an open and lively church community, worshipping in a beautiful historic building in the centre of Ware. The church building is open daily from 9am until 3pm. Guide booklets and information are available to help you explore the building, and there is often someone around to chat with. There are plenty of little corners for private prayer and reflection, with places to light a candle, leave a prayer request, read the bible, and sit quietly and contemplate. The sacrament is reserved in the Lady Chapel. As you enter, on the left there is a bookstall for you to browse – and buy from. There are even some comfortable chairs if you want to sit and read what you have found. There is level access from the South Porch and at both entrances via the Hall, and a ramp into the Lady Chapel. Currently we are not able to offer level access throughout, but we hope all visitors will have plenty to see and enjoy. There is an accessible toilet and a baby change facility. 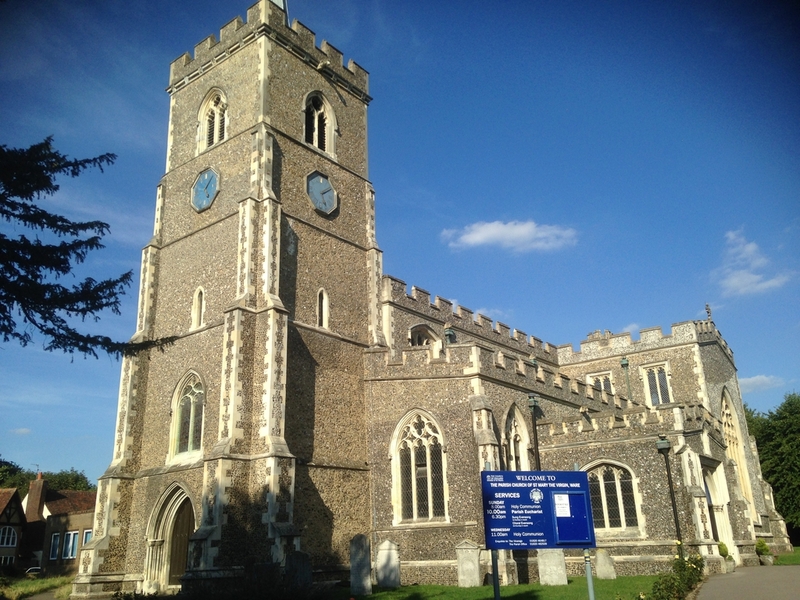 There is evidence of there having been a church in Ware for over a thousand years. When the Domesday Book was prepared there was "a priest" at Ware. The church is mentioned in a charter given by William I to Hugh de Grentmaisnil giving permission to found a cell of the Benedictine Abbey of St. Evroul, Normandy, in Ware and handing over the church to the alien priory. During the 15th century the church was enlarged and beautified by Margaret Beaufort, Countess of Richmond, mother of Henry VII. The church is regarded as a fine example of 14th and 15th century architecture and contains many items of historic interest. St. Mary's has had a reputation for its fine church music for over a hundred years. The Hill 3 manual organ was built in 1860. It was rebuilt in 1985 and refurbished in 2016.